There’s a deep need in many of us to be the first on the block with something new. Heck, the tech sector is practically driven by constantly stoking the fire to grab a new phone or new gadget like it’s a biological imperative. Apple’s got that routine down to a science. But if you can hold back the urge to storm an Apple Store and get Cupertino’s latest marvel immediately, you’ll be rewarded. Because it never takes long for competitors to come along with worthy alternatives that are a whole lot cheaper. 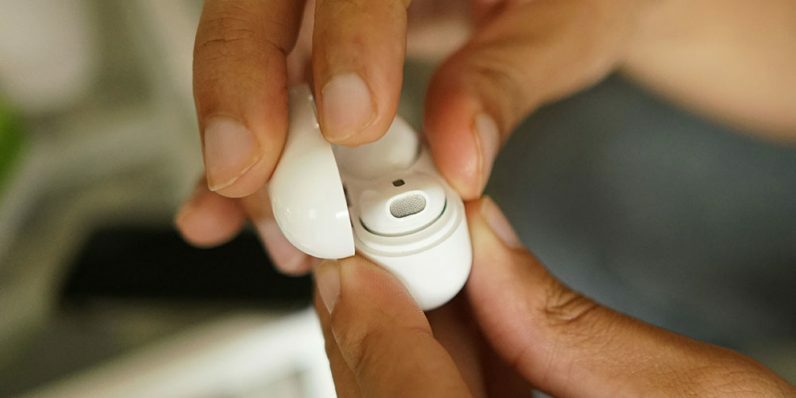 Apple’s AirPods were the next step in awesome wireless ear bud advancement when they debuted two years ago. Thankfully, Neva Tech’s Air Bud Wireless Bluetooth Earbuds 2.0 aren’t just some cheap knockoffs, they’re serving up top quality audio with the same sleek design and an array of features — but they’re doing it for a shockingly low $36.99 after TNW Deals’ discount of more than 60 percent off. The Air Bud 2.0 units sync easily with iPhones and other iOS or Android devices via Bluetooth and roll for about three hours on a single charge. The pair also come with an accompanying 300mAh charging case, assuring you can plug in and recharge up to 10 times before the case needs more juice. That’s almost 30 hours of listening in your pocket before you even leave the house. IPX8 waterproofing and sweat-resistance make these perfect workout companions and they’re so ergonomically minded that you’ll likely forget you’re wearing them. Of course, all ear buds are ultimately measured by how they sound. Delivering crisp audio for all your music, podcast or simple phone calling needs, you’ll likely be amazed at the Air Bud 2.0’s performance. Originally priced at an already low $99.99, jump on this limited time deal to try the Air Bud 2.0’s for yourself for only $36.99.